and they don't all involve shots & dares! Just how well do the bride and groom-to-be know each other? Put them to the test by meeting up with the groom before the hen party and ask him a few questions about himself and his bride-to-be. It's even better if you can film his answers to play back on the day. For added fun you can also ask the party attendees to guess how many questions they think the couple will get right, with prizes for the winners! This one takes some creativity and pre-planning, but with a bit of effort it is sure to be a roaring success. Ideally taking place at the hen’s home (our out and about if you're that clever & adventurous), set up a treasure hunt with clues that tests everyone's knowledge of the bride. An example of a clue could be ‘Sophie wore this dress when George proposed,’ leaving the hen party to search through the bride’s wardrobe to locate the next clue hidden in the dresses’ pocket. Gather a notepad and pen (a great chance to bust out some fun hen party stationery) and ask the hen party attendees when they arrive to write down how they met the bride and their favourite memory of her - obviously the more embarrassing the better. After a few drinks, bring the notepad out and ask the bride to read out the stories and guess who wrote each one. If they’ve done their job right, there are sure to be a few laughs. Write a list of banned words for the night such as ‘wedding’, ‘hen’ or ‘fizz!’ and every time it’s uttered, the speaker has to take a dare or a shot! Prosecco Pong has ‘hen party’ written all over it. For the uninitiated, it is a somewhat upscale adaptation of beer pong, and requires players to split into two teams, setting up a table with 6 glasses either end, in a triangular shape. Taking turns, players throw or bounce the ping pong balls into the opponents glasses, and if they succeed the opponent drinks the glass of fizz. So it’s a win-win, really. Here’s a handy demo! The beauty of this game is that it can be as X-rated or as sweet as you want it to be - and is one of the best hen party games for breaking the ice. Everyone in the group has to anonymously write down either an embarrassing or unusual story relating to men or dating (the naughty version of the game) or a story that they share with the bride-to-be (the family-friendly alternative). Put the stories in a hat and mix them all up, asking each hen to take it in turns to read one aloud before playing a game of ‘guess who?’ Our personal favourite! They have it - your big night sorted with the best hen party games ever! Now you’ve got the games sorted why not dress the part in personalised garments for you and your girls! 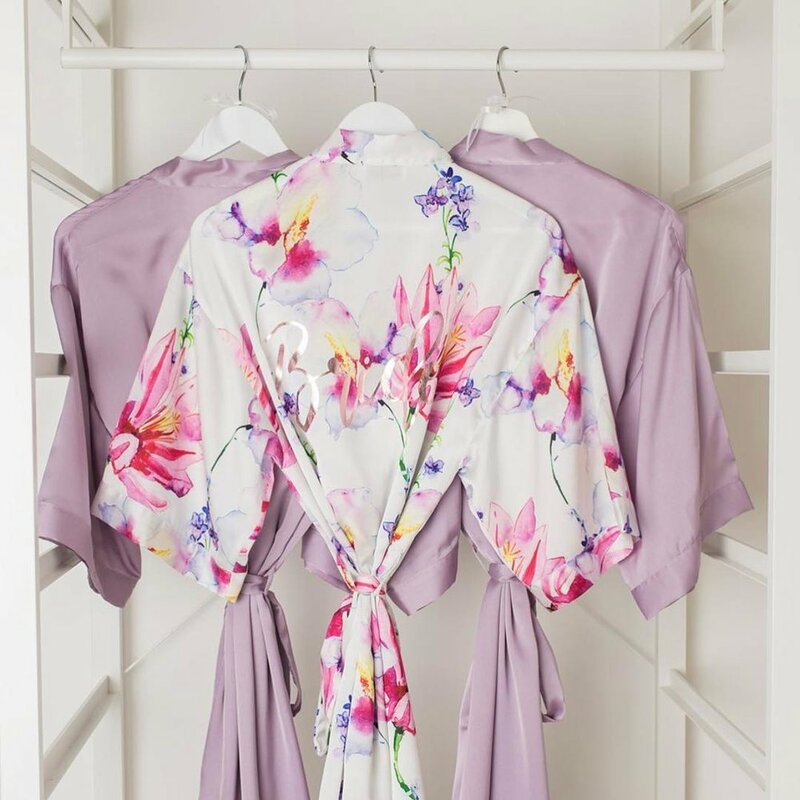 At the centre we have the amazing Matchimony who not only create stunning bridesmaids in a huge variety of colours, but they can also make bespoke items for the whole of your wedding journey! From personalised dressing gowns for your wedding morning to outfits for you paige boy/dog plus they can make personal jumpers for your hen night! Or even swimsuits if you’re planning on spending your last days as a singleton in the sun! Check them out because you’re girls will love them as much as these party games and their products are not as much as you would think! See their full range of products to buy online right here.